Sky take over, and the weather grapcs are based on thier own, though as thiers hadn't gone widescreen yet, but five news had, we had an odd surround. Later, when Sky News went widescreen, we got full screen graphcs. FIVE WEATHER 2004 - Video of the weather from the 2004. FIVE WEATHER NEWS - Weather news and graphics. FIVE WEATHER 2007 - Weather presented in the news studio. 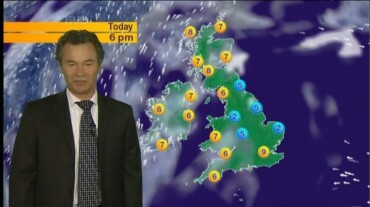 Various weather graphics from 2005. Just before the news at 7 in thsi period we were treated to some werather news, introduced with various weather scenes before moving onto the main weather. A flythrough around the UK.